The Central Arizona Water Conservation District Board may be a stopover for political "up and comers". As Arizona faces new challenges, Arizonans deserve better. 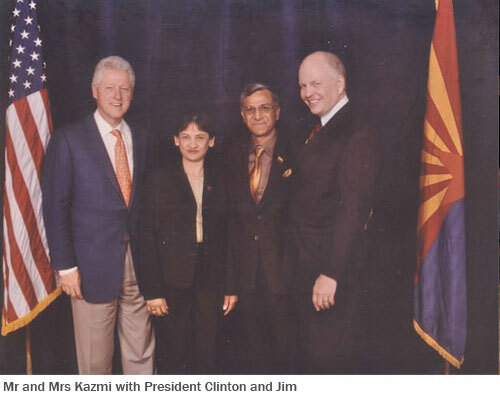 Arif Kazmi has been a Licensed Professional Engineer for nearly 30 years and has the technical expertise that will be vital as Arizona moves forward. The undeniable truth is that Arizona's rate of population growth has been one of the highest in the nation for more than two decades. Kazmi understands that our overburdened canal system will soon be unable to move the amount of water our state must deliver. In order to keep up with demand, the CAWCD will need Board Members who can view Arizona's water resources with new eyes and with proven technical ability. Our state's current economic crisis and increasing water needs demand an innovative approach to expanding our existing canals while creating jobs for thousands of Arizonans. Electing an experienced Project Manager gives the Board oversight at the planning stages, reduction in government waste, and the vision to anticipate changing needs further in advance. Put simply, C.A.W.C.D. 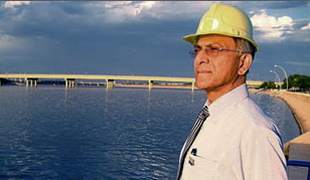 needs an Engineer and the experience that Dr.Kazmi brings. Maximize water conservation, improve reclamation processes and save money. Expand public programs encouraging creative water conservation methods. Utilize new design and construction technologies to increase efficiency and save money. Use water flow to create alternative energy sources. Begin the much needed upgrade and expansion of our current canal infrastructure, while creating new jobs for Arizonans. Please fill-in the Contact Form completely.